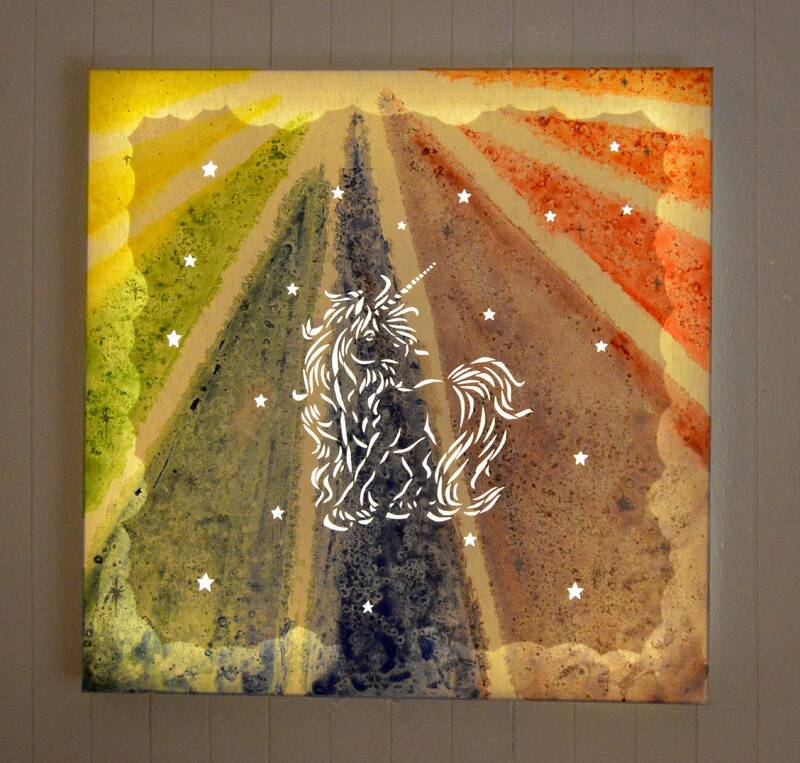 Illuminated painting for children's bedroom wall decoration 'Unicorn' painted with acrylics in the colors of the rainbow, cut out on a canvas on frame of dimensions 50cm x 50xm. 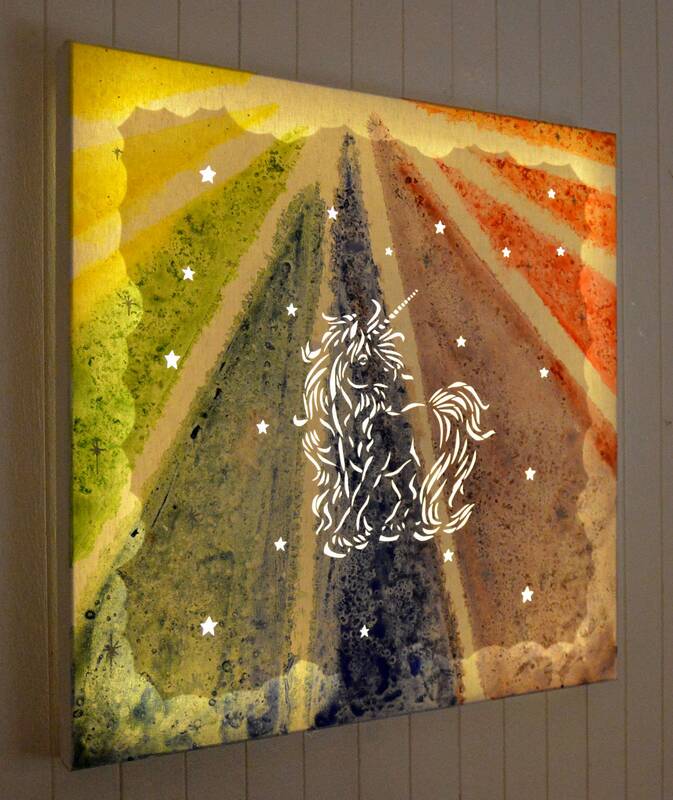 This canvas will delight fans of unicorn and illuminate their nights. The LEDs are lit. These are LED bulbs powered by batteries (supply, 3x AA). 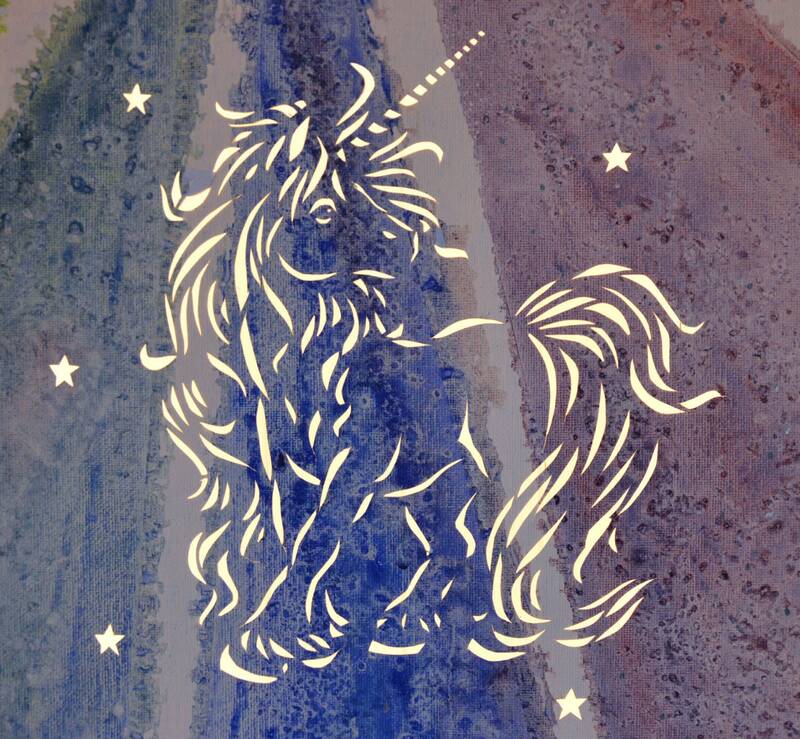 A switch is integrated directly on the side of the canvas. No thread that exceeds! 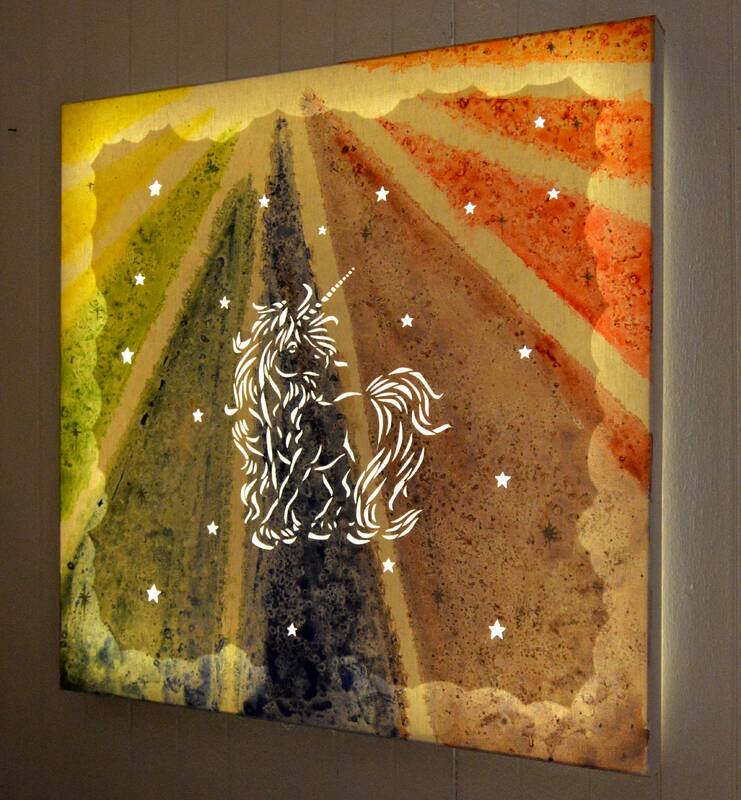 Can be used as a night light for the little ones.